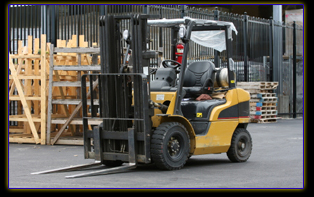 We are always interested in buying used forklifts in any condition, size, make, or model. Our trained technicians provide repair and perform maintenance service for every piece of equipment we sell. We also buy accessories including dock plates, chargers, batteries, fork blades, pallet jacks, and all items relating to the material handling industry. Contact us anytime to let us know what you have for sale. Please click on the Request an Estimate button below to fill out an online form to receive pricing or for further assistance. After submission, a used forklift sales representative will contact you during our regular business hours. You can also choose to call us at 410- 686-6800, or stop by our shop. Thank you for doing business with Chalk’s Industrial Equipment Sales, Inc. in Baltimore, Maryland!